Home Activities Projects Have you been stopped at an airport under anti-terrorism powers? 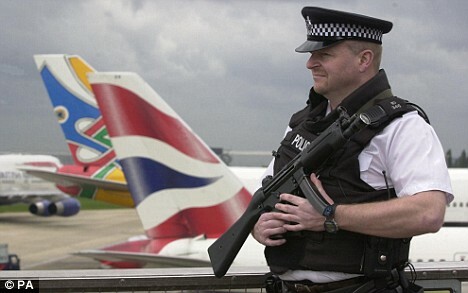 Have you been stopped at an airport under anti-terrorism powers? Please contact us by emailing naba@ihrc.org or telephone on 0208 904 4222. If the police officer(s) refused or failed to identify themselves. If the police officer(s) refused to give an explanation as to why you have been stopped and under what legislation. If you were not given a slip confirming that you were stopped. If you have been asked to report suspicious behaviour within your community. If the police officer(s) threatened to arrest you if you refused to give DNA samples or your fingerprints. If there was any other inappropriate behaviour. The above examples are just some of the things that people have complained about when going through airport security. The IHRC is concerned by these reports and would like to gather a number of case studies to present to the government to show the abuses and flaws in the use of airport security measures. Please assist us by telling us what happened to you or your family and friends when they were stopped by airport security. Please do not respond to this thread on facebook or other social networking sites as you might compromise your own privacy. All information given by you will be held in strictest confidence and in accordance with data protection laws.